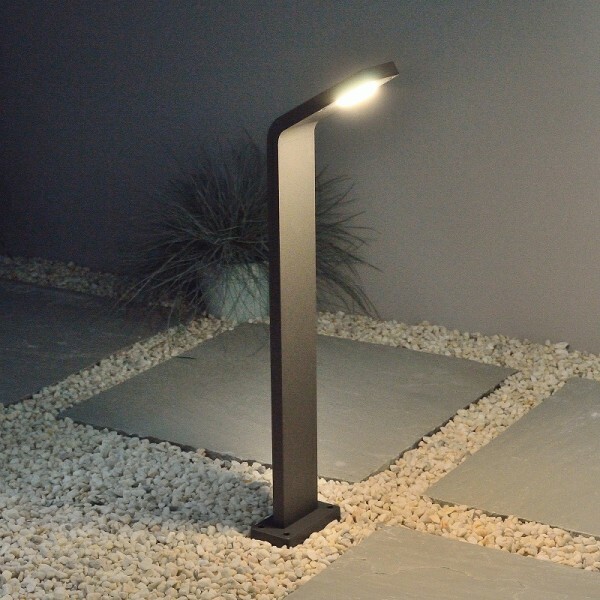 Insika bollard light - 240v – Warm White LED – Powder coated Graphite Grey finish. 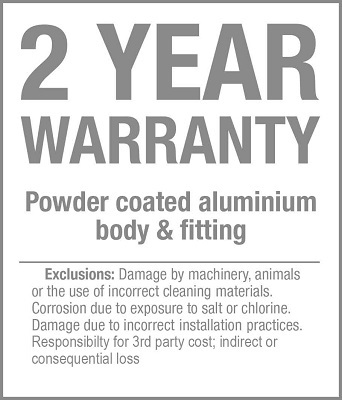 Die-cast aluminium with pre-treatment for outdoor use. Built in LED and PSU with a pre wired 2 metre 240v cable for connection in a remote junction box. 324 Lumens: Approximately the same as a 30w halogen lamp.